and then I had lunch at Hampers - a VERY yummy soup = tomato, red pepper and Wensleydale cheese…. 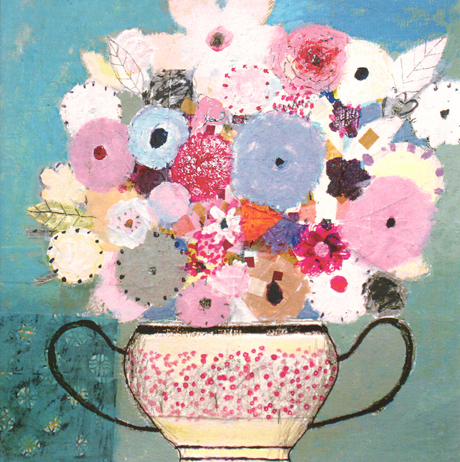 Fish & Chips are a great British tradition, involving lots of happy memories. A new fish & chip shop has opened in Evesham and we had some for dinner last night and they were…YUMMY!!!! 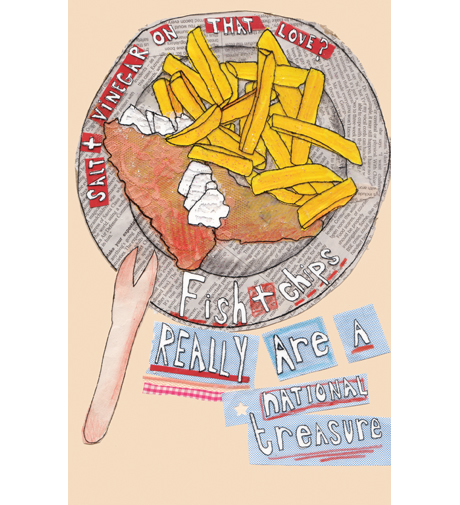 This is one of the new Yummy things designs from Alice Palace…...Fish and chips really are a national treasure! 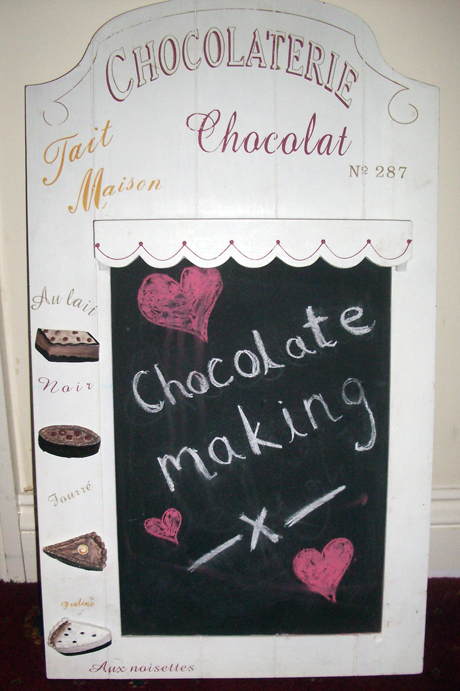 I love the bags that the shop has for you to take away your order…. 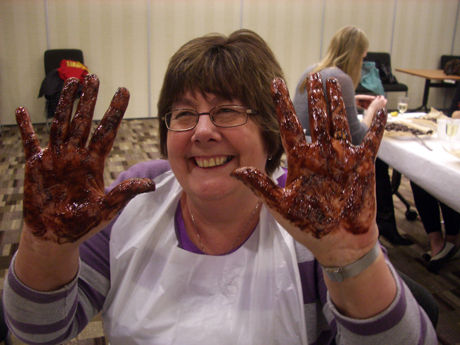 I went on Laura’s lovely hen do on saturday and we went chocolate making which was great fun! 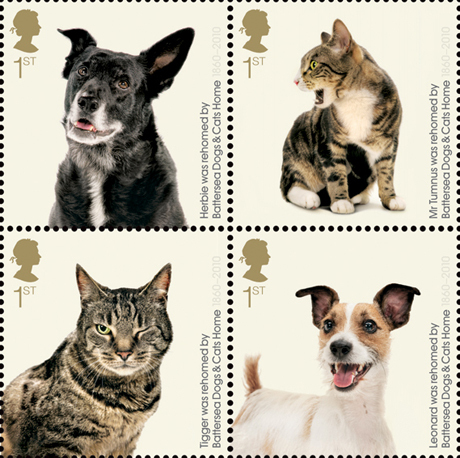 I love this new set of stamps to mark 150 years of Battersea Dogs & Cats Home with photographs by Steve Hoskins featuring cats and dogs who have been succesfully ‘rehomed’. I think I like Casey best…. 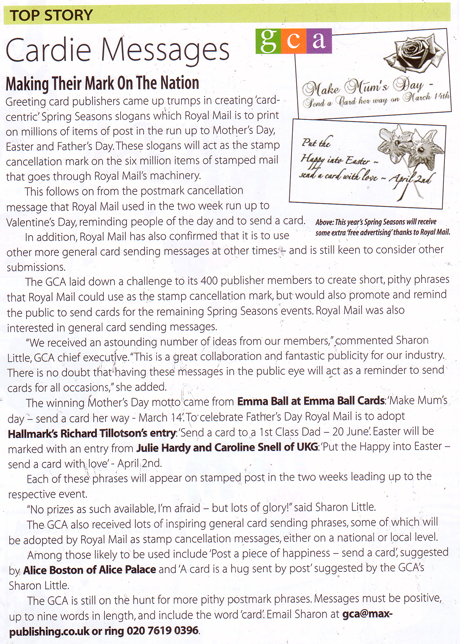 Alice Palace was mentioned in Progressive Greeting’s top story this month…. We got a nice write up on the GIN lady website….Under the influence of Green, Independent & Natural brands. 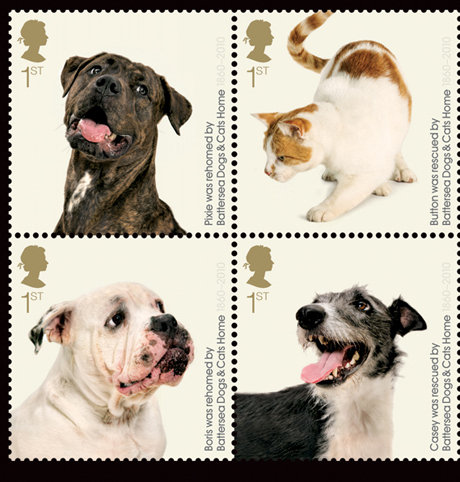 We got our Progressive Greetings Live show postcards through and they look great - hope to see everyone there in May! these wasabi peas are very yummy! 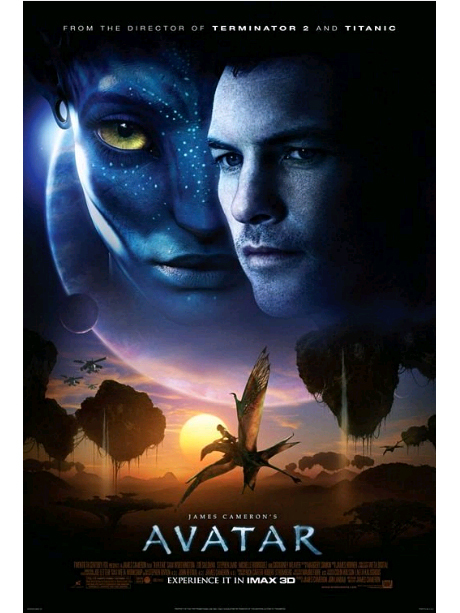 I went to the cinema last night to see Avatar and TOTALLY LOVED it! And it was really fun wearing the glasses and seeing in 3d…the forest scenery on planet Pandora is AMAZING!